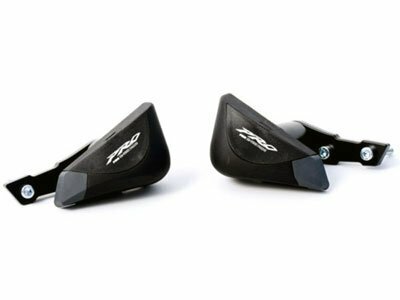 PUIG Pro Frame Sliders, are built with a compact design and are perfect to help protect your motorcycle. Made with a material highly resistant to the blows that protect your motorbike from intermediate and light falls. These Puig frame sliders help to protect the lower part of your frame, engine, water pump and crank case during a slide. No fairing modification is needed.